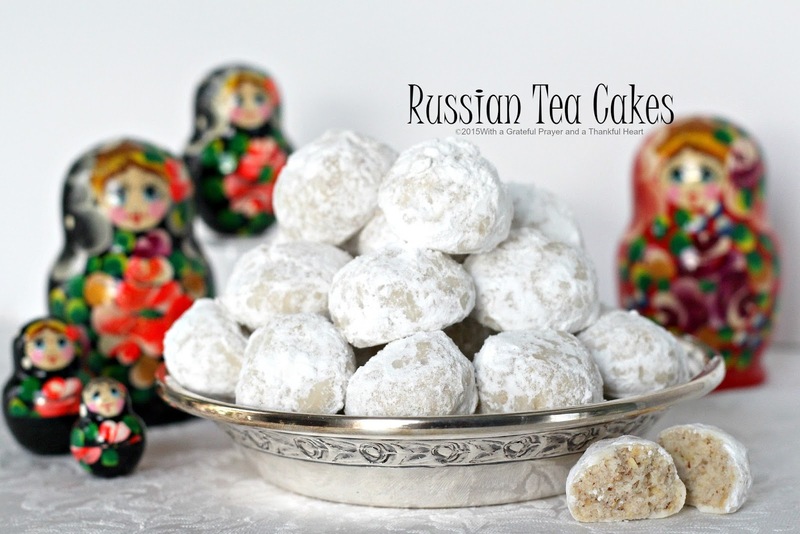 Russian Tea cakes, Mexican Wedding Cookies or Snowballs ~ call them whatever you want, these tender little cookies coated in confectioners’ sugar are melt in your mouth yummy! Form dough into 1 1/4″ balls and place onto parchment-lined or ungreased baking sheets. Bake at 400° for 10-12 minutes or just until the cookies start to turn light golden-brown; remove from oven and allow to cool for 5 minutes. 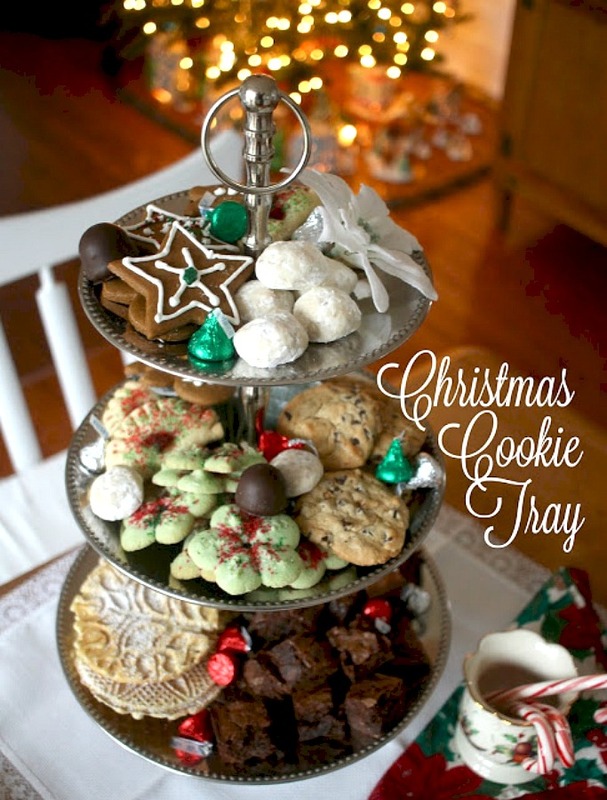 remove them from baking sheets and roll, a few at a time, in powdered sugar until evenly coated; cool cookies completely on wire racks. Cookies may be rolled in powdered sugar a second time once cooled to room temperature. NOTE: Forming dough into 1″ balls will increase yield to 48 cookies. 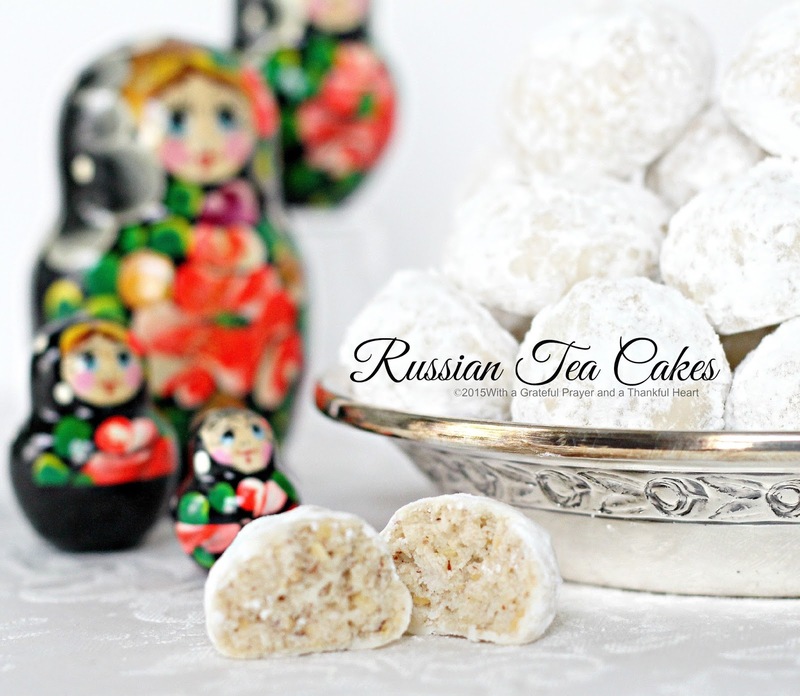 One of my favorites to make at the holidays, they look so yummy! I can just imagine how good these taste…and all the powdered sugar I'd be wearing on my mouth…and clothes. LOL Happy Thursday!